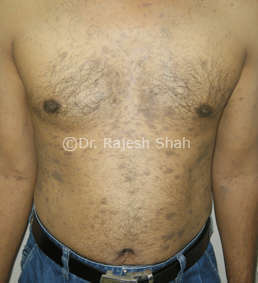 Lichen Planus Pigmentosa is an uncommon skin disorder resembling Lichen Planus. This presents with oval grayish (turning blackish) brown marks on the face and neck or trunk and limbs without an inflammatory phase. The skin in the affected area becomes dry, dark and hyper-pigmented and the area spreads at a slow pace. it may present in the form of sporadic spots, or on bilateral symmetrical locations, few scattered spots or big patches. In some patients, the patches are small or large at times. The patches may remain steady or spread. There is generally no itching or minimal itching. 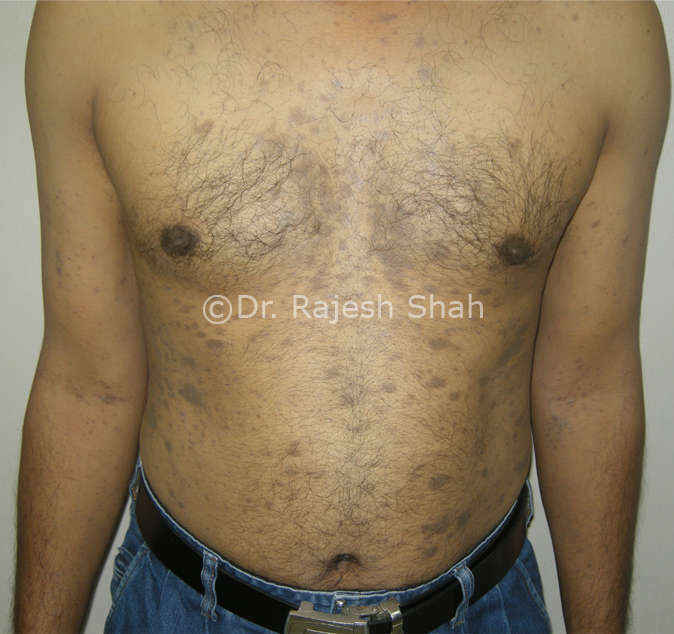 There are no eruptions or elevated lesions, as compared to Lichen Planus. This has a genetic predisposition in estimated 30% cases. It is seen equally in males and females, more common in the young adults and the elderly. It does not cause any major discomfort, the chief concern being cosmetic. The most common sites affected are the face, arms, neck. A trained physician can diagnose it on examination, a biopsy is confirmatory. 03 No previous drug exposure. Use of local cortisone is the most common mode for the treatment of LPP. The condition takes a long duration to evolve and slow to respond to treatment. Long-term homeopathic treatment gives good results, to control the further spread, to stop the disease activity and to reverse the hyperpigmentation to an extent. 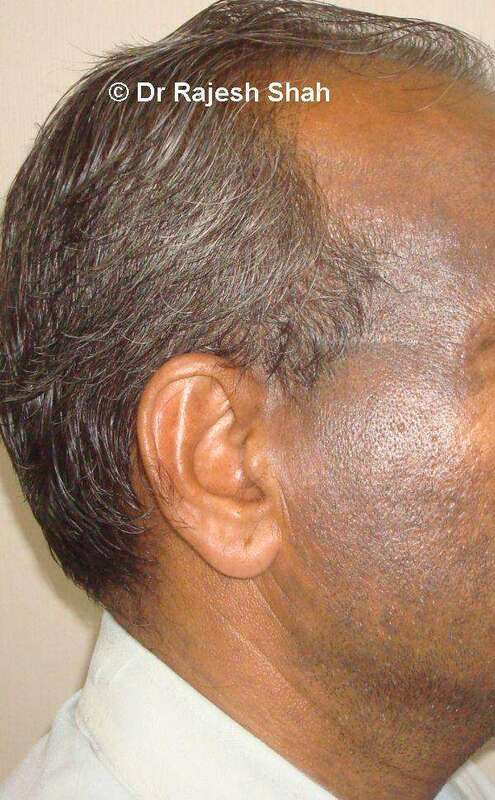 Complete recovery from hyperpigmentation may not be possible in most cases. We have treated and documented a good number of cases and have shown great control and some definite recovery in many cases.